Save 50% now!!! Summer has ended and most of us are back at work. 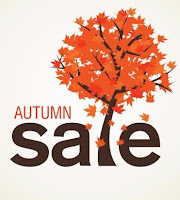 We have prepared special "Autumn offer". The offer is valid until 31st October 2015. Enjoy working with Creedoo and creating memorable presentations. Enjoy your work using professional software. Creedoo will not only make your work easier but also helps you to impress your audience. As one of our first users we are now giving you 50% discount code. Simply claim voucher code: mAHwDFqw0e during purchase process to obtain additional 50% discount. Also we have redesigned our explore page ( http://creedoo.com/explore ) so you can easy discover all the posibilities that Creedoo can provide.